National Fuse Products carries a complete line of American manufactured electrical and electronic fuses, fuse holders, blocks and accessories. Whether you need Littelfuse, Mersen, Bussmann, GE, Gould, or Ferraz Shawmut fuses, we are your online source for a large variety of North American electrical fuses. There are numerous factors to consider in fuse selection – such as determining the normal operating current, the application voltage, the ambient temperature, the overload current and the length of time in which a fuse must open. 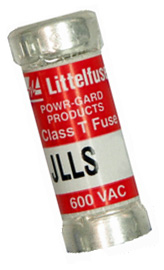 You can find a complete list of factors in selecting fuses for electronic applications in this guide provided by Littelfuse. The demand for quality electrical fuses in North America continues to increase due to construction, automotive and technological advancements. As demand increases, generic or counterfeit fuses have come on the market. At National Fuse Products, we stand behind each product and guarantee that it is an original from the manufacturer.